Newbee is gearing up for a run at the next DPC Major. Right before the MDL Disneyland Paris Major is set to begin open qualifiers, both Newbee rosters are swapping players to make a run. The decision mostly came down to Newbee liking how its roster played at MDL Macau and wanting to make some changes to complement that outing. Newbee placed fourth at the premiere event, falling to Virtus Pro 2-1 and just recently they took home the Thunder Fire Spring League title. With three events under their squad’s belt, they decided to finalize it for the Major. 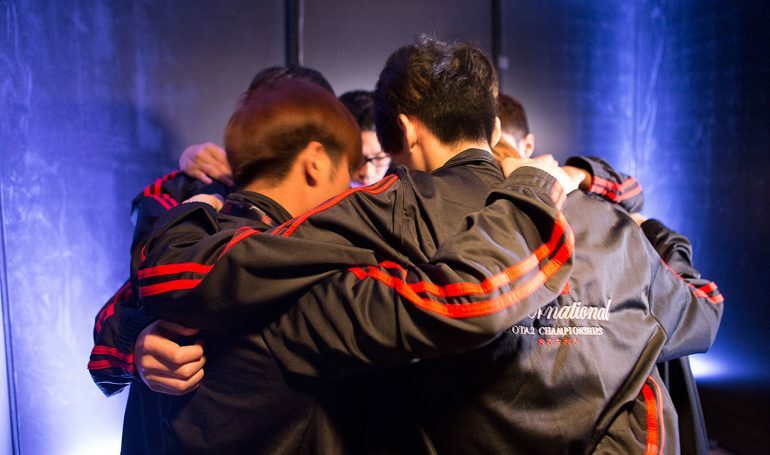 Wen “awen” Lipeng is transferring up from Newbee Young and will fill their third position while International 2014 Champion and former coach of Newbee Wang “SanSheng” Zhaohui is coming out of retirement to join the roster. Wang “Banana” Jiao, who has played and coached for Newbee for several seasons now will fill SanSheng’s role as the main roster’s coach. The main roster isn’t the only team making changes either. MGB will also be competing for a spot in the Major through the open qualifiers. They have not had nearly the same recent success of the Newbee roster, but the slight shift in their roster could serve them well. They are bringing up Lai “Fonte”‘ Xingyu from Newbee Young and swapping Lijia “Jiajia” Tan over from carry to the offlane. Newbee and MGB will compete in the open qualifiers for a chance to battle it out in Paris, France for $1 million and 15,000 Dota Pro Circuit Points at the MDL Disneyland Paris Major.